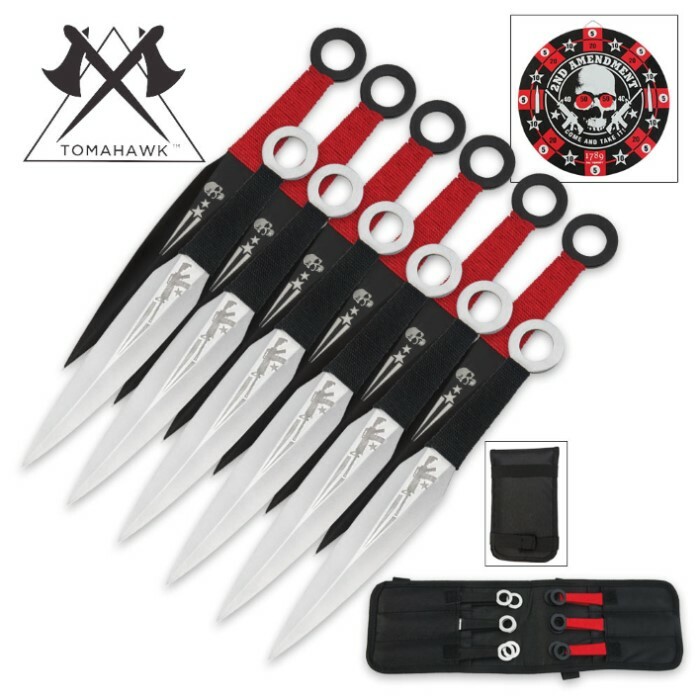 Second Amendment Throwing Knife Set | BUDK.com - Knives & Swords At The Lowest Prices! 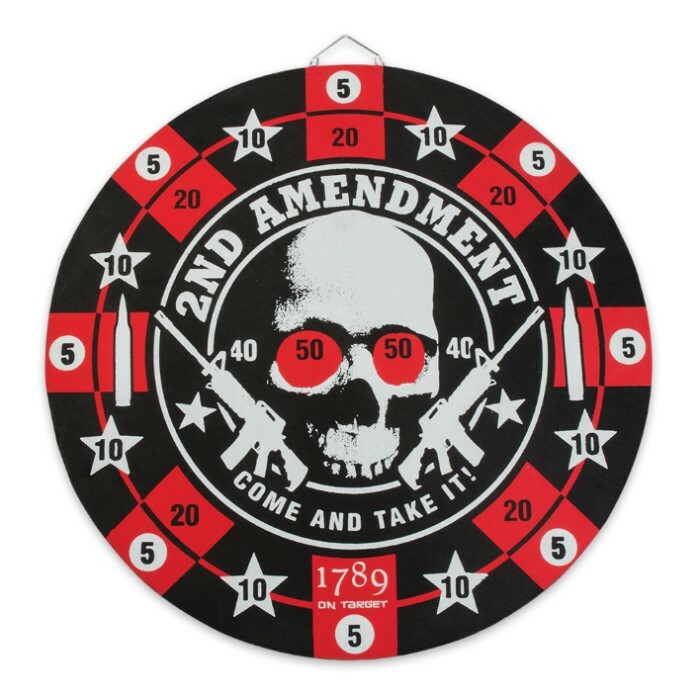 Hit your target every time with this 12-piece set of throwers AND Second Amendment themed target with custom original artwork. 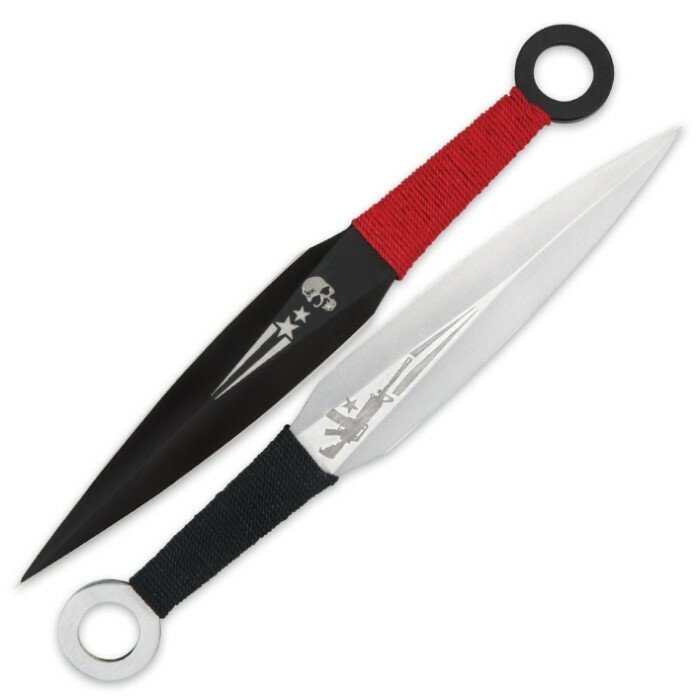 Each throwing knife is exquisitely designed. Perfectly balanced for an easy, accurate throw every time.